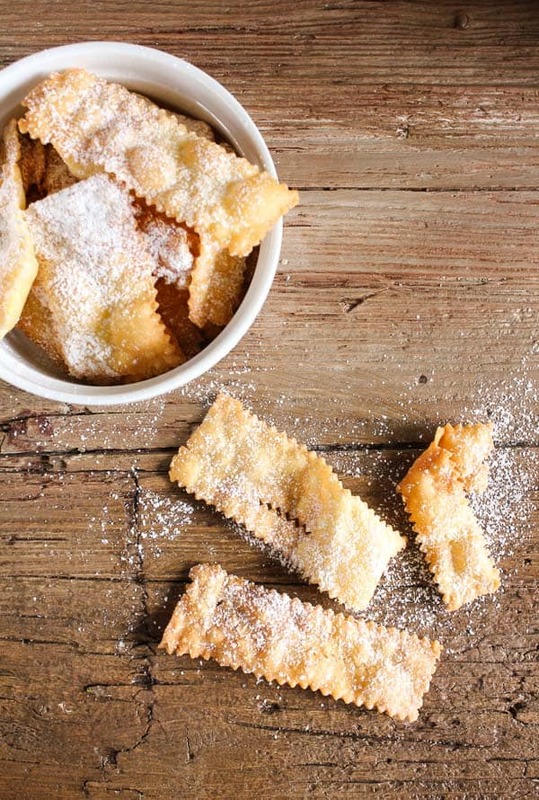 Italian Frappe Sweet Fritters, a delicious fried or baked crunchy pastry, just in time for Carnivale. They are so tasty. 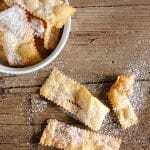 Frappe, Chiacchiere or Nothings are just a few names for these simple thin fried dough strips that are everywhere at this time of the year in Italy. 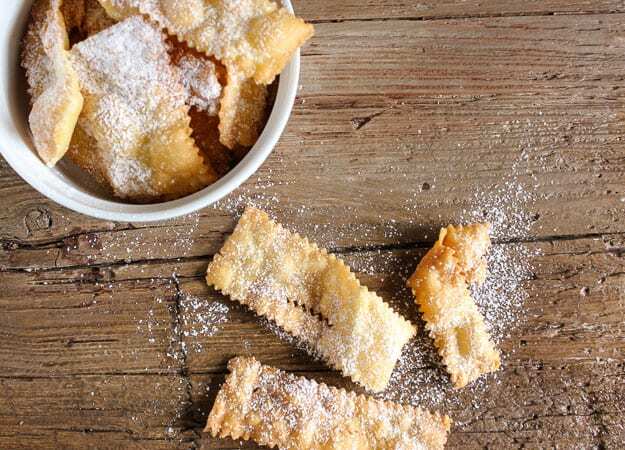 While a lot of places are sharing their heart-shaped cookies and cakes, here in Italy we are eating and baking these tasty treats that are offered only at this time of the year, which is Carnevale. Between Frappe and Castagnole I don’t know which is my favourite.Frappe are really quite easy to make, using a simple flaky dough. Although the dough must to be rolled quite thinly. 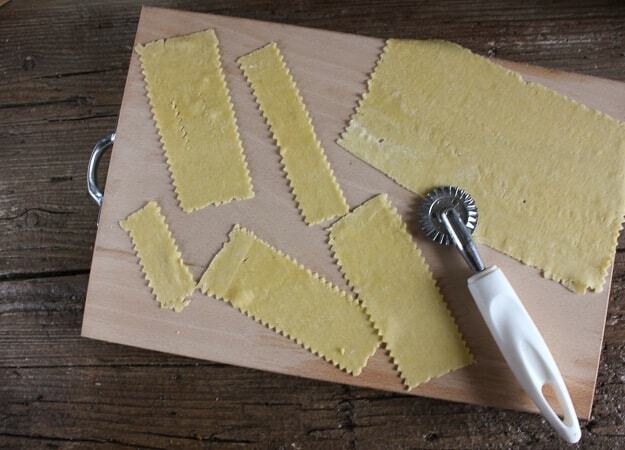 This is the time a pasta maker comes in handy. But even if you don’t have a machine it is a good workout for your arms. The calories you burn rolling the dough let you have a few more frappe. Carnevale is a celebration that lasts approximately two weeks and ends on the Tuesday before Ash Wednesday or as some of us know it as Pancake Tuesday/Shrove Tuesday. It is mostly a time for children to dress in costumes and have rides around the towns of Italy throwing confetti. Unfortunately I have to be honest and say these are fried and they taste great, nothing like indulging once in a while. 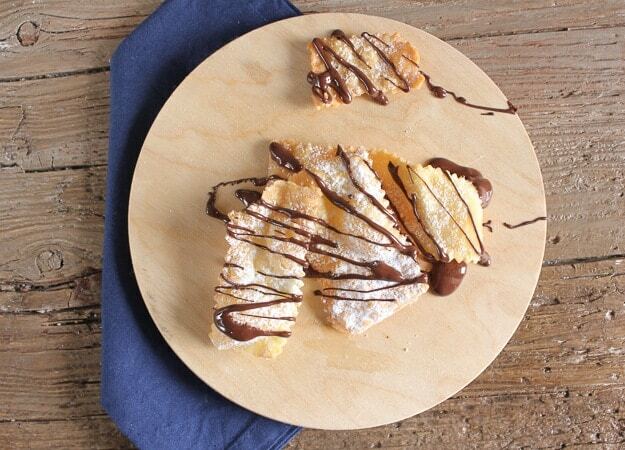 Drizzled with melted chocolate, or dusted with powdered sugar or just throw all caution to the wind and go for both! Enjoy! 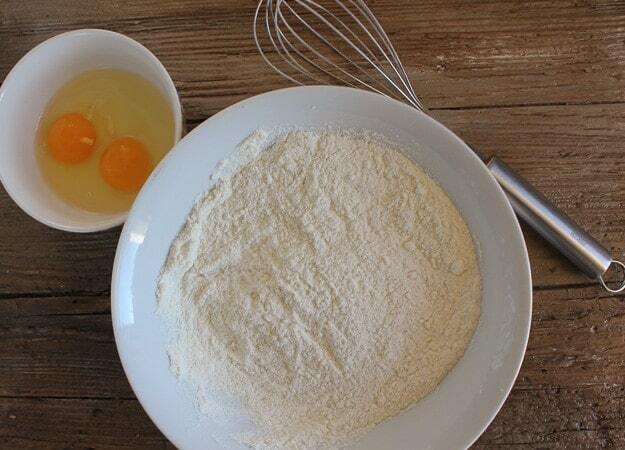 In a medium-sized bowl whisk together flour, sugar, salt and baking powder. 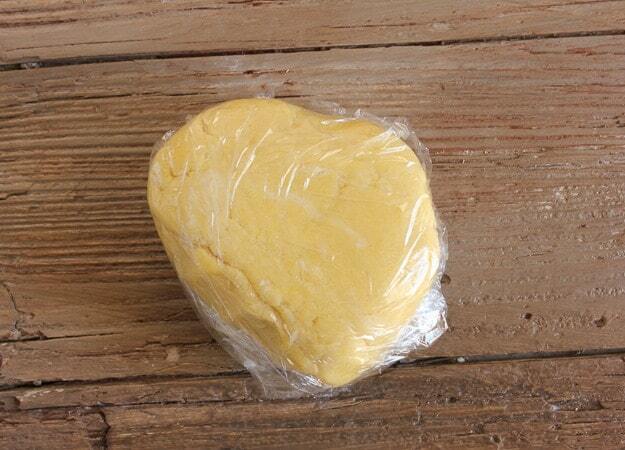 Add to food processor, then add egg and egg yolk and butter, combine till dough comes together. smooth (will not be a sticky dough). Wrap in plastic and let rest 30 minutes in the refrigerator. Remove from fridge and taking 1/4 of the dough at a time roll into a very thin strip, cut into approximately 2-3 inch sizes and fry in a pot of hot vegetable oil (approximately 2 inches of oil, temperature must reach 170° and stay at this temperature, no higher or dough will burn). Fry until golden turning frappe over to while frying. Remove to drain and cool on a plate lined with paper towels. Sprinkle with powdered sugar or drizzle with melted chocolate. Enjoy! If baking these what temperature do you bake them and for how long? Hi Katlyn I would say at 350F (180C) for approximately 10-15 minutes or until golden. Hope that helps. Happy Easter. We have these in Switzerland in the Autumn… they are SO addictive and one of my absolute FAVOURITE snacks. I will 100% be trying to make these! Those look SO good! I just experimented with frying at home a week or so ago, and the kids couldn’t get enough of it. No doubt they’d love these too. Thanks for sharing! Hi Veronica, haha I had to google elephant ears because I have never heard of them and then I read fried dough and I realized that they actually make them here also, anyway frappe are really crispy. When my mother-in-law made “elephant ears” they were more chewy and really good. Hope your daughter likes them. Have a great day. My family, from Calabria, calls these “cenci” or “chiacchiere”. I just made a large amount for Christmas. Even tho we don’t celebrate Carnivale here in the states, what a good excuse to make more now. It’s Canivale in Italy!!! Thanks for the post! Hi Diane, I think every region in Italy has a different name for them, and yes good excuse, enjoy! Thanks for stopping by. Have a great day. Boy does this take me down memory lane. I remember my mamma making them but I believe she called them something else and they were a little different. I’m going to have to write to my cousin’s wife in Trieste and see if she remembers . Thank your for a memory jog. They really look scrumptious.